You did not ask, "What is the meaning of 'the grave'?" or "What is Hades? ", so I won't answer those questions. Simple answer: the difference between "the grave" and "Hades" depends on what translation of the Bible you are reading. In the NIV, there is usually no difference between "the grave" and "Hades". It seems that the NIV mostly uses "the grave" in the Old Testament, and mostly Hades in the New Testament; in both testaments, it often uses "the realm of the dead", but these three refer to the same thing. The NIV regularly translates the Hebrew word sheol as "the grave". Here's a page that lists all NIV translations of the Hebrew sheol: http://www.blueletterbible.org/lang/lexicon/lexicon.cfm?Strongs=H7585&t=NIV (click the links for "Continued Search Results" for more results). In contrast, the NIV normally transliterates the Greek word hades as "Hades", though it sometimes renders it as "the realm of the dead": http://www.blueletterbible.org/lang/lexicon/lexicon.cfm?Strongs=G86&t=NIV. However, these two words are the same, as is seen in the fact that the Septuagint translates sheol as hades. (The Septuagint is the Greek translation of the Old Testament that the New Testament normally quotes from.) As I mentioned, in both testaments it often renders either word as "the realm of the dead". For the verses that you quoted, please note that in the NIV, "the grave" is different from just "grave" or "graves". In particular, "the grave" as a translation of Sheol/Hades seems to occur only in the Old Testament; in the New Testament, the NIV mostly uses Hades. "Graves" in John 5:28-29 is from a completely different Greek word (mnēmeion), which is often translated as "tomb": http://www.blueletterbible.org/lang/lexicon/lexicon.cfm?Strongs=G3419&t=NIV. It should be understood as grave or tomb in the literal, physical sense. The way I've learned to read it that I think makes the most sense is that everyone who dies goes to the same place when seen from the perspective of the living, and it is called the Abyss/Sheol in the Old Testament. In the OT, the ideas of death, heaven/hell, eternity, etc. did not seem to cross very often. In the New Testament (specifically in Jesus' preaching), Hades is named as the place where the godless go when they die. Sometimes it also seems to refer to the place where even believers go when they die, but again, I would expect this to be a matter of speaking from the perspective of the living. Another place for the dead seems to be heaven/paradise (note: not the New Creation), which is named as the place where believers go when they die. Some examples of this are "Jesus answered him, 'Truly I tell you, today you will be with me in paradise' (Luke 23:43), and the place in Revelation where the martyrs are (Rev. 6:10). This seems to be the perspective of the dead. A great example of Hades being the place for the godless and heven being the place for the godly is the parable of the rich man and lazarus (Luke 16:19-31). So that covers the spiritual resting place for the dead. The physical place for the dead is, as you saw, named a variety of ways (the grave, Hades, the sea), but they are all resurrected, so in the end, wherever each person is resting physically, they are brought back to life for judgement. At that point, those whose names are in the Book of Life become residents of the New Creation and all others will go to the lake of fire (today often called Hell). These are the eternal destinations of every man, compared to the temporary places (heaven, hades, the abyss, the grave, etc.). I'm sure that's badly organized, but I hope it helps you clarify the distinctions between the many words that refer to the home of the dead. Perhaps you are asking what the difference between physical death and spiritual death are? The first one is pretty obvious so I won't expound on that. The second one is more heavily debated. A person can be physically alive but yet in a state of spiritual death. Thus, you don't have to physically die in order to "go to hell". The "life and resurrection" that Jesus Christ brought was meant to take people from their state of spiritual death to a state of being spiritually alive. None. They have the same meaning. It is men who make Hades (Hell) into something it is not. They have done this to perpetuate a teaching that had gone unquestioned and unchallenged (as no one challenged the so-called priesthood during the Dark Ages and into the Renassiance). Hades, Hell, Sheol, Grave, and Memorial Tomb mean the same thing. They are places where those who have died are placed. When any of you reading this die, go to hell (grave). Think: Jesus died and he spent three days in hell (his memorial tomb). On the third day, Jesus came out of his grave (memorial tomb) thus showing (1) that one can come out of the grave after death and (2) good and bad people who die go there. (Jesus was a good person). Gehenna is not Hades or Hell. Gehenna was garbage dump outside the city walls in Jerusalem. The fires were constantly going so that people could throw their garbage and the carcasses of dead animals into it. Anything thrown into Gehenna burned and ceased to exist. Only the fires kept burning. In The Revelation the Lake of Fire is the same as Gehenna. Gehenna and The Lake of Fire are symbols of something being "destroyed forever" (Eternal Destruction, not Eternal Torment). Anything thrown into Gehenna or The Lake of Fire ceased to exist as if burned up by fire. The Lake of Fire will always exist because after the great resurrection people will never die again. If they sin in those future days - the sin that cannot be forgiven - they will cease to exist. (Erased from God's memory. There will be no more sacrifices made to cover over sin and no more resurrections. No death, no resurrection from the dead). "They will be punished with everlasting destruction and shut out from the presence of the Lord and from the glory of his might." Everlasting Destruction NOT Everlasting Torment. It is interesting to note that hell (hades) (and death also) is thrown into the Lake of Fire. This shows that hell and the Lake of Fire are not the same. If anything that goes into the Lake of Fire ceases to exist, then hell (hades) will one day cease to exist. So the idea of hell being a place of eternal torment is false. Notice at Rev 20:14 that death and hades (hell) are mentioned at the same time and BOTH going into The Lake of Fire. Why? Well, if hell (hades) is the grave and if hell ceases to exist, then that means that one day people will not die. If people one day will not die, then there is no need for graves! "He will wipe every tear from their eyes. There will be no more death’ or mourning or crying or pain, for the old order of things has passed away." Why will there be "No more death?" Because we are told in a few verses earlier (Rev 20:14) that death (along with hell) is thrown into The Lake of Fire. Death will cease to exist one day. No death, no graves. Once again, Christianity has failed in teaching this correctly. Why? Because it does not know. It does not know God and Christ as it claims it does. It has not obeyed God at Luke 9:35. It is doing and teaching as it pleases. It is maintaining what persons back in the Dark Ages and Renassiance were MADE and forced to believe and it has really not been challenged, but rather perpetuated. Few today want to consider that any error has occurred with this teaching of men as it is not what Christ taught. Not the answer you're looking for? 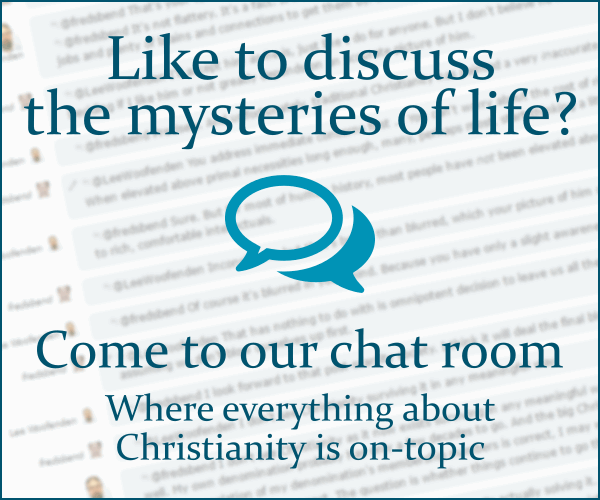 Browse other questions tagged revelation gospel-of-john terminology or ask your own question. What's the difference between the Judgment Seat of Christ and the Great White Throne Judgment? According to Jehovah's Witnesses, who are the 144,000 mentioned in the book of Revelation? Why are the wicked resurrected only to be destroyed and sent to the Lake of Fire? What is the difference between Hell and Lake of Fire? Is “Rapture” mentioned in the Book of Revelation? What is the Calvinist perspective on John 5:28–29 in regard to earning salvation? What is the difference between 'Hell', 'Sheol', 'Hades' and 'Gehenna'?